Every now and then you come across a house that takes your breath away. This is one of those. 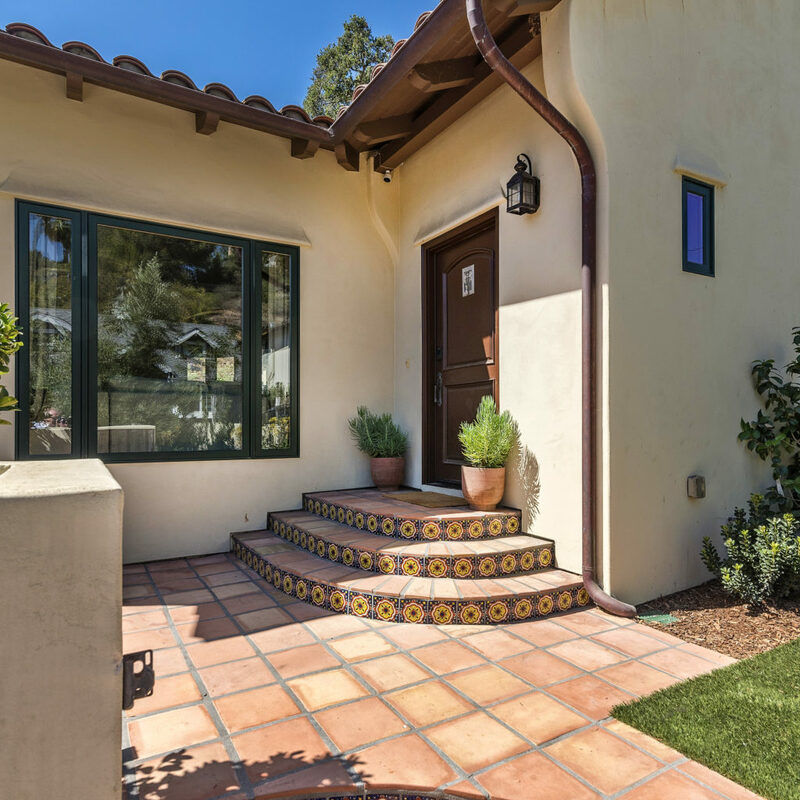 Located in a quiet neighborhood that backs up to the incredible Elings Park, is Calle Poniente. 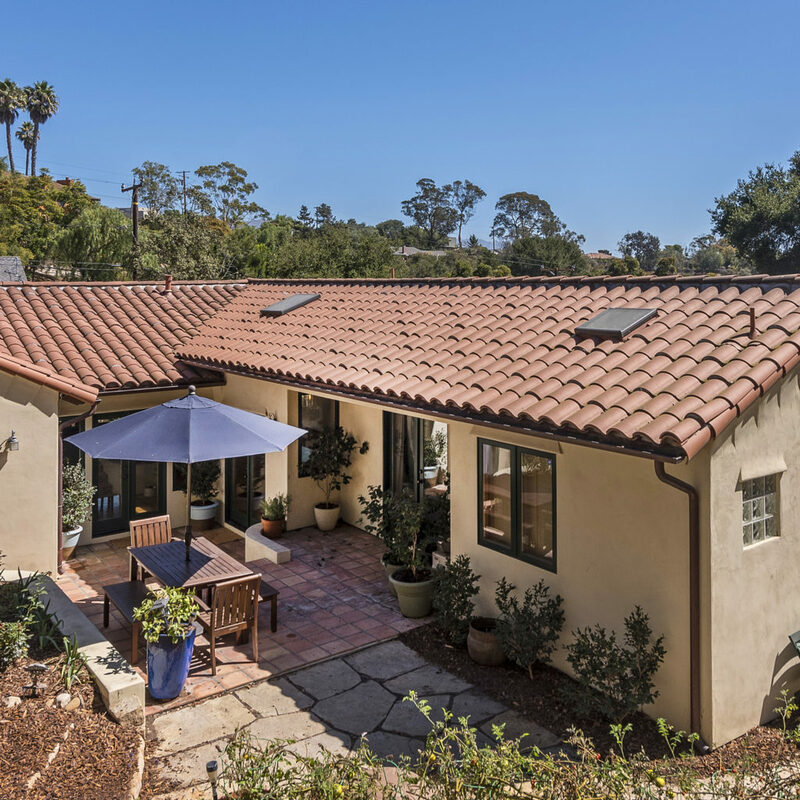 It is a short distance to the Mesa and downtown Santa Barbara, yet a world apart in regard to privacy and peace of mind. 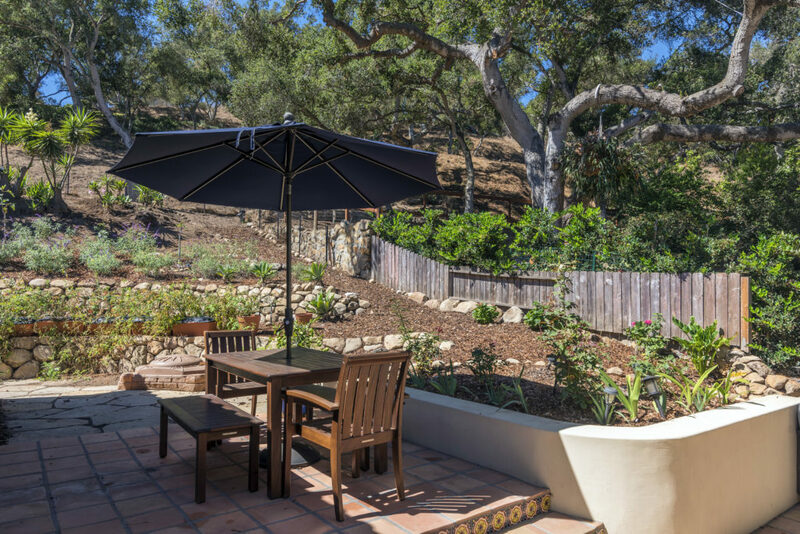 This house was almost completely remodeled in 2011 and no expense was spared in this updated rustic Spanish style home. The size is approximately 1,700 square feet and is well thought out with private patios and gathering spaces located on the front, rear and side of the property. In addition to the house, there is a partially finished, easily accessible multi- level basement that is not included in the square footage and provides plenty of room for storage. Walking up to the house, you are greeted with a foyer and a vaulted ceiling living room with a faux chimney. Take two steps up from the living room and you’ll find yourself in a dining room with French doors leading out to the terraced, partially shaded and sunny back yard surrounded by gorgeous mature oak trees. The gourmet kitchen, with its honed leather granite counter tops, is the gathering space of the home. 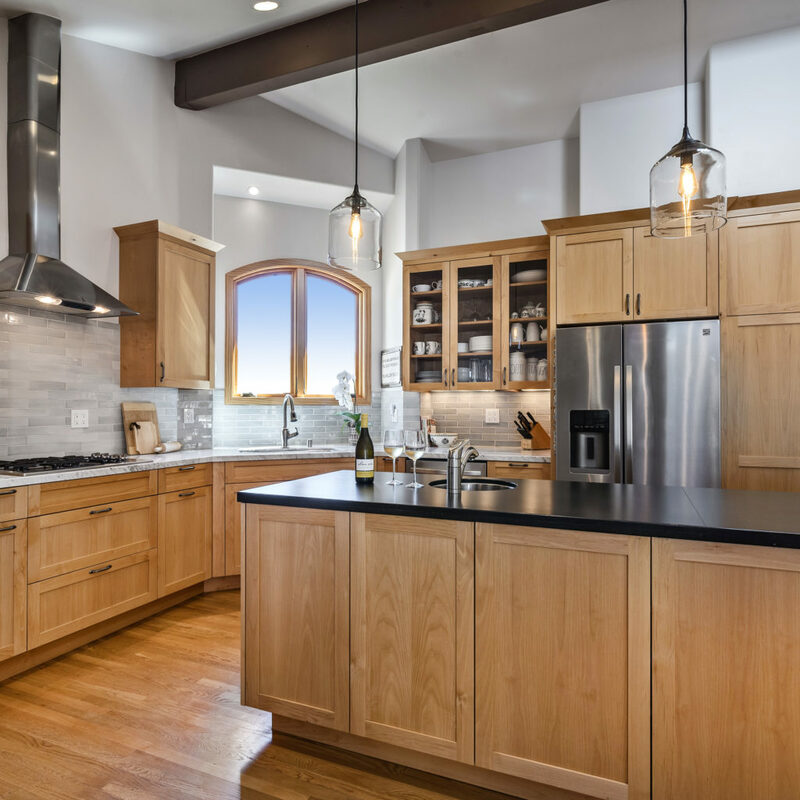 Complete with double ovens, updated appliances, views down the canyon, plenty of counter space and great natural lighting. 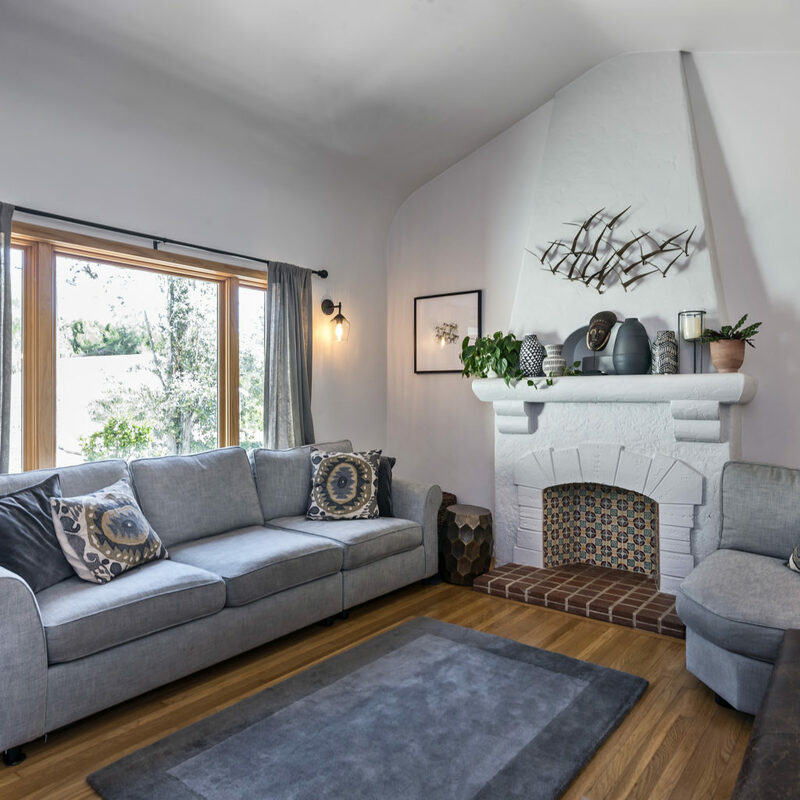 The location, in the middle of the home lends itself to bring people together and many delicious meals and conversations have taken place in this well thought out space. 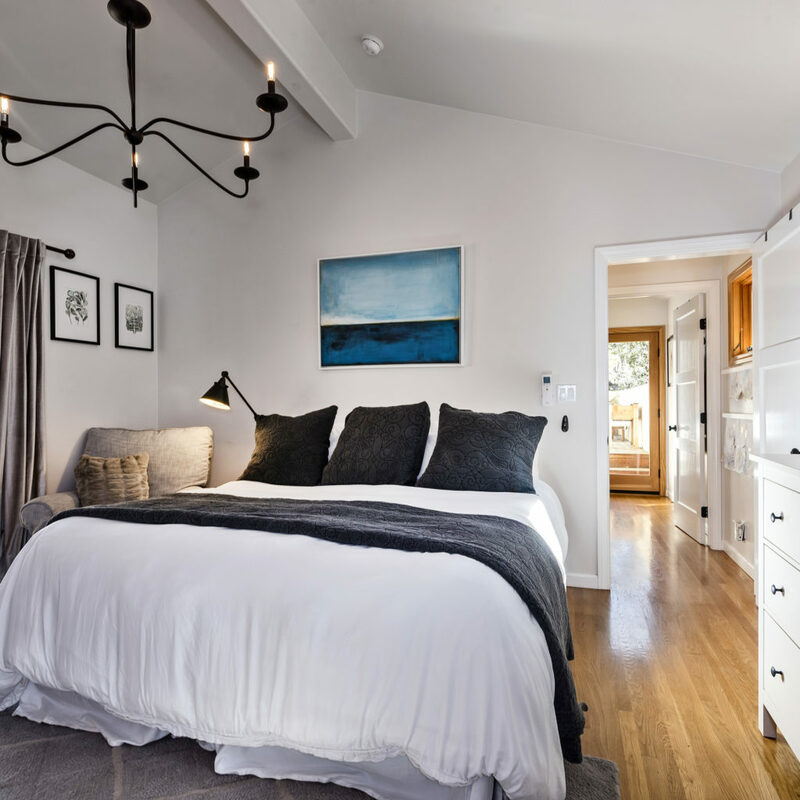 The master wing is located two steps up from the kitchen and is outfitted with a spacious, air conditioned bedroom and bathroom- with a separate shower and soaking tub. French doors lead out to the patio here too and across the hall is the laundry area and a private patio overlooking the city. The two additional bedrooms and bathroom are located on the opposite side of the house from the master suite allowing for privacy. Hardwood floors run throughout the home and the layout is cozy, yet functional and impeccably built. 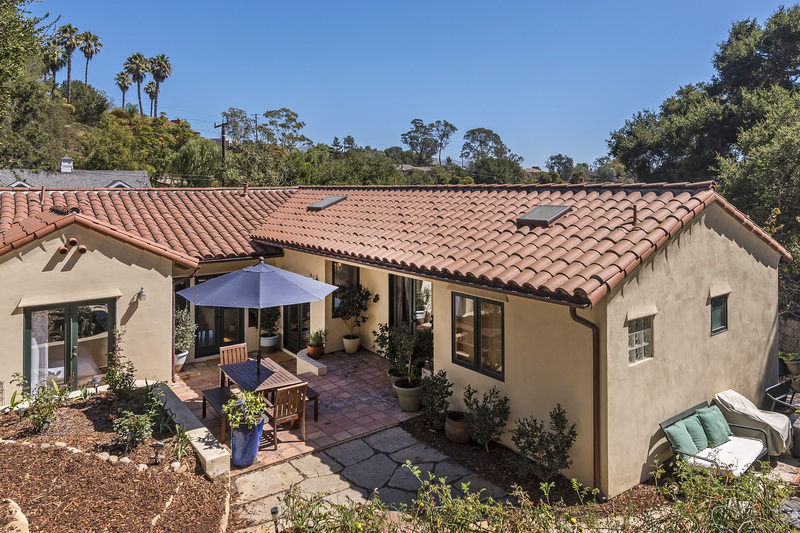 The home is located up a street that many Santa Barbara locals have never discovered. When they do, they come to appreciate the quietness of the neighborhood. There is access to trails through Elings Park just moments away from the home and the canopy of trees along the canyon create a very peaceful atmosphere. This property ​i​s not ​being ​offered publicly ​at this time but shown to the discerning few that have an eye for beauty and quality construction. When it sold last, off market, ​my buyers made an offer right away​ and there were multiple offers​. Enjoy the peaceful Calle Poniente canyon!